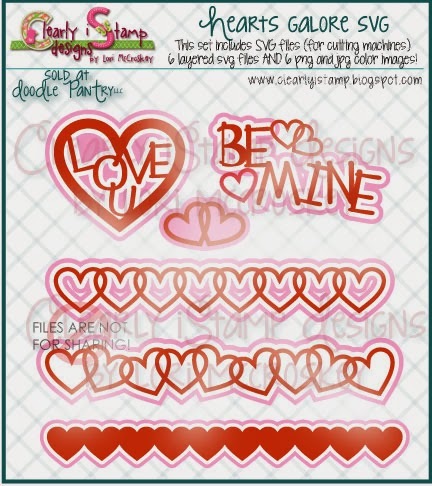 Clearly iStamp: New Releases at Doodle Pantry: FREEBIE Heart SVG file, Card Cut SVG files! 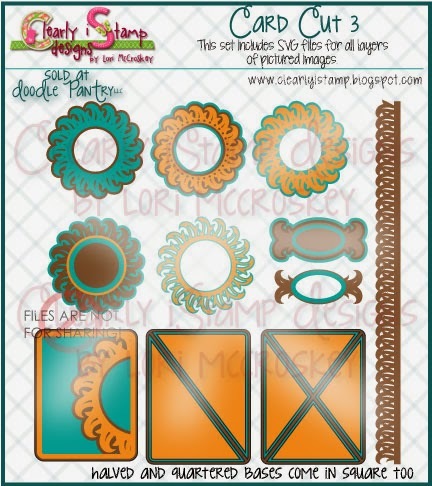 New Releases at Doodle Pantry: FREEBIE Heart SVG file, Card Cut SVG files! It is time for a new release! Doodle Pantry has many wonderful new Digi releases this month....make sure to head over there and see all the digi releases at www.DoodlePantry.com! I'm going to show you today the SVG Cut files that I have been working on for January! SVG cut files work with many of the cutting machines out there: Silhouette, Cougar, Zing...etc. Some of them take an external cutting program such as Make the Cut....which is a program I absolutely love! I will have to admit that I took a little vacation in December and didn't get as many cut files created as I would have liked, but I think these three cut files are a very nice addition to any collection! This one is a FREEBIE for a short time....so make sure to grab it as a bonus while available! I have included jpg and png files for you to print out with this file! Perfect for cards and scrapbook pages! Go to Hearts Galore here! These SVG cut files are so nice to get your creative juices flowing! You can layer your images between all of the layers for a beautiful design all the time! You don't have to have a fancy punch or line up your images in a cut program. Just trim them down to fit in your layered card cut and you are done! Go to Card Cut 2 here! Another beautiful cut file to surround your digital image or stamped images! These were my Christmas Cards this year! I think I am going to chose another Card Cut File and get started for next year! Go to Card Cut 3 here! Fabulous SVG cut files, you are pretty marvellous at this, love your work, wished I had a machine that would cut these! Kathy's card is wonderful and so were your Christmas cards! Lori - seeing my card on your blog made me smile...like old times! It was an awesome SVG file to work with and can see me using this on many projects!